The flavor this week seems to be Steampunk, at least for half of the books I received this week. Five authors I've never read and one of these books does look interesting. An alternate 1895. . .
government agency, seeks to control everything in the name of the Queen. But all is not well. . . 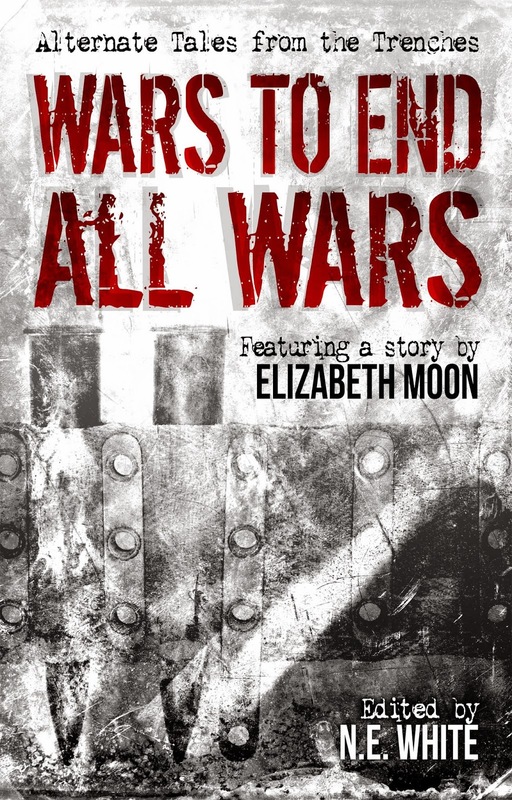 Empire and plunge the world into a horrific war. King of the Dead (Book One of The Jeremiah Hunt Chronicles #2) by Joseph Nassise (Tor Hardcover 11/27/2012) – Sequel to Eyes to See published just about a year ago and the second in his urban fantasy series. A Conspiracy of Alchemists (Book One in The Chronicles of Light and Shadow) by Liesel Schwarz (Del Rey 03/05/2013) – Schwarz’s debut novel is also the launch of a Steampunk series with what seems to be vampires added for good measure. This one seems like it would appeal a great deal to fans of Gail Carriger. As many of my readers know, I live in New Jersey. 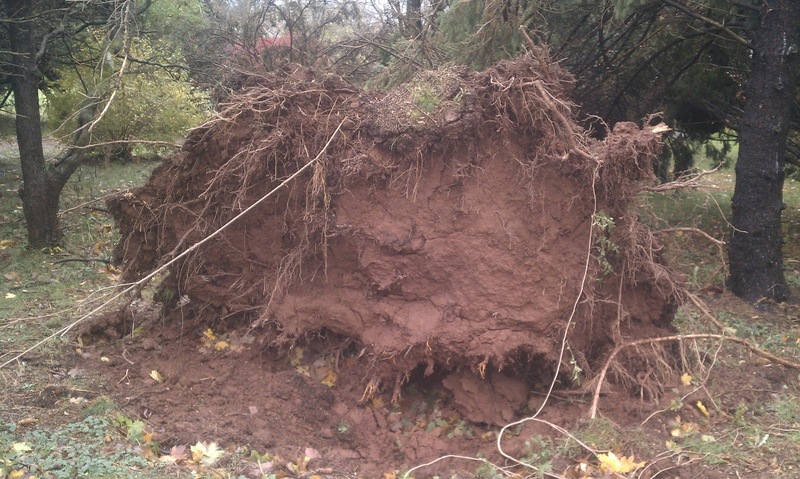 Superstorm Sandy hit two weeks ago and to say that the natural disaster transformed parts of the region into an apocalyptic landscape would be an understatement. 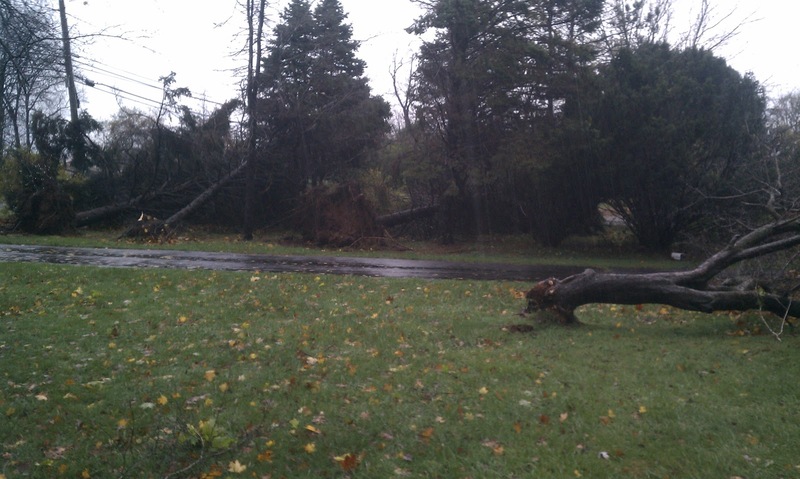 In other words, I'll take the five-day power outage and dozen or so toppled trees around my property as a win compared to what happened in other parts of New Jersey and New York. As is often the case, Mark and I will both receive copies of some of the larger titles and such is the case with the book for which I’ve posted today’s review. Meanwhile, Mark looks at another genre mash-up from one of the first purveyors of the mash-up. A man’s past can’t always stay in the past, it affects his decisions and how he lives his life. Sometimes, that past comes knocking and despite how a man may hide from that past, it may or may not go away. When that past helps the man reach an important goal – such as saving his adopted children from kidnappers – then that past is even more difficult to keep buried. 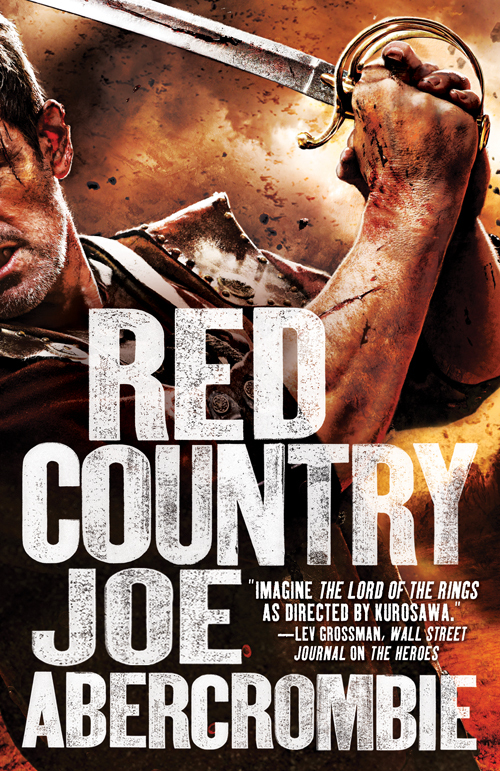 The past…just one of the themes that proves very informative for Joe Abercrombie’s sixth novel, Red Country. Many have likened the feel and plot to a western novel, and indeed, it is easy to see why. The sparse land, the grey-and-black morality of the characters and the revenge theme all share much in common with some of the classic Western films like The Unforgiven and True Grit. That having been written, the story/film that continued to resonate with the most me as I addictively kept turning the pages was A History of Violence, coincidentally enough, two stars of that film (Viggo Mortsensen and Ed Harris) were in a recent western film Appaloosa. Familiar themes are powerful, but for me what’s often worked best with Joe’s novels is the dialogue. Each character has a distinct voice, even without the qualifying …Lamb said or Shy asked, it would be pretty easy to determine which character is speaking. It is this quality that separates, among others qualities, Joe from his peers in the genre. 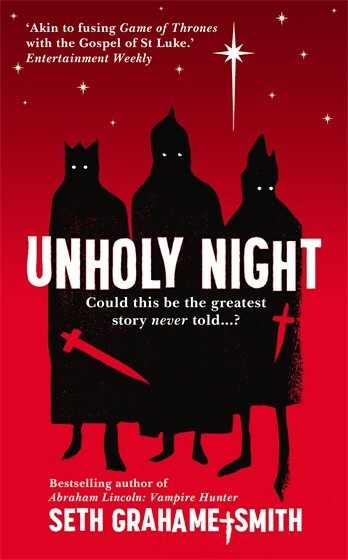 Seth Graham-Smith mashes up “history” with fantasy in Unholy Night and Mark liked the results. As we approach Christmas 2012 (It’s really not that far away! ), the ever-so-busy author turns his trademark mash-up style to the Nativity. The book tells of the ‘real’ story of the three Kings of the Magi. Led by Balthazar, it seems that, at least according to Seth, these enigmatic heralds of the birth of Jesus are not quite the wise old men scriptures would have us believe. At first the idea of a Fantasy based Nativity story sounds quite preposterous. Yet, if you take away most of the religious connotations, it does make quite an exciting adventure tale. The discovery of the manger is not because the Three Kings followed a star (although there is one of great luminosity over Bethlehem in this tale, heralding the Messiah), but rather because they accidentally came across it whilst attempting a jailbreak. The ‘wise men’ the Bible would have us believe in are, in fact, petty thieves who spend most of their time trying to get out of trouble, rather than the benefactors of gifts to the Messiah. It looks as if the publishers made up for no books last week with a big batch this week. The three authors for whom I’ve received the most books over the past few years had books arrive on my doorstep this week,. 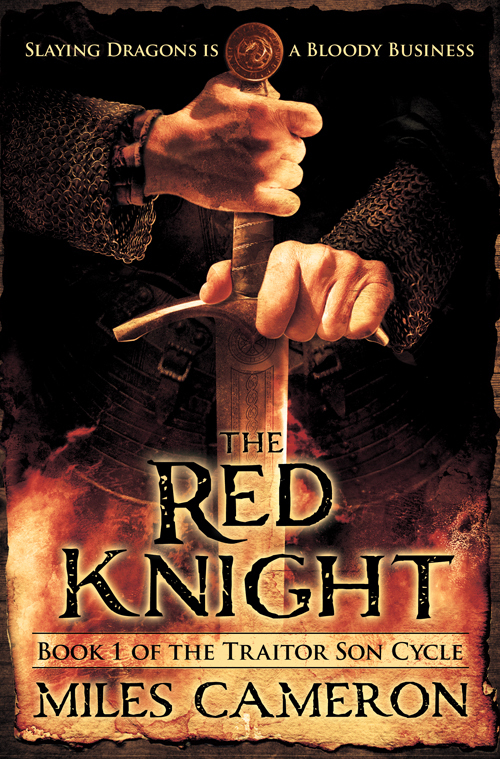 The Red Knight (Book 1 of The Traitor Son Cycle #1) by Miles Cameron (Orbit (Hardcover 01/22/2013) – This one’s getting quite a bit of pre-publication buzz. This seems to be RIGHT up my alley. The Creative Fire (Book one of Ruby’s Song by Brenda Cooper (Pyr Trade Paperback 11/06/2012) – Cooper launches a new series with Pyr, this one looks quite interesting. Ruby Martin expects to spend her days repairing robots while avoiding the dangerous peacekeeping forces that roam the corridors of the generation ship the Creative Fire. The social structure of the ship is rigidly divided, with Ruby and her friends on the bottom. 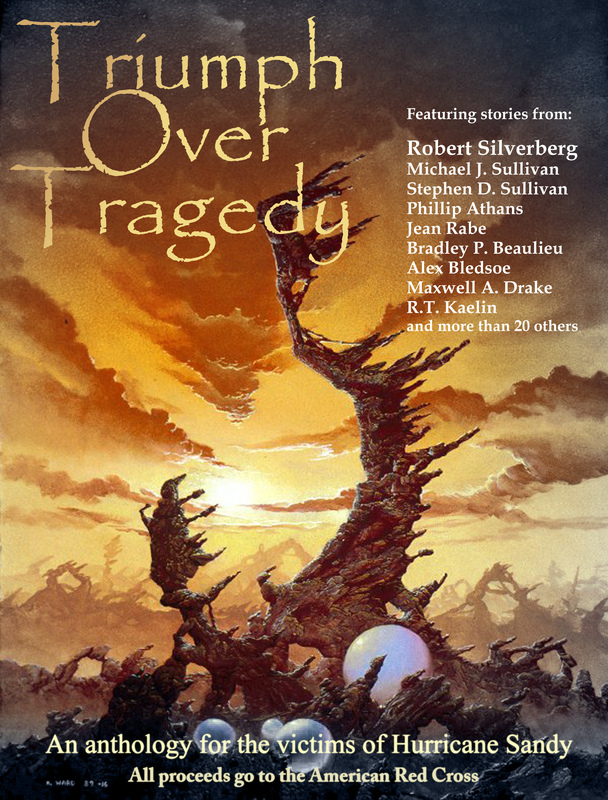 Then a ship-wide accident gives Ruby a chance to fight for the freedom she craves. Her enemies are numerous, well armed, and knowledgeable. Her weapons are a fabulous voice, a quick mind, and a deep stubbornness. Complicating it all—an unreliable AI and an enigmatic man she met—and kissed—exactly once—who may hold the key to her success. If Ruby can't transform from a rebellious teen to the leader of a revolution, she and all her friends will lose all say in their future. Andromeda’s Fall by William C. Dietz (Ace Hardcover 12/04/2012) – First in precursor series to Dietz’s popular Legion of the Damned Military SF series. The Sum of Her Parts (Tipping Point Trilogy #3) by Alan Dean Foster (Del Rey 11/27/2012) – Third in the series which began with The Human Blend. 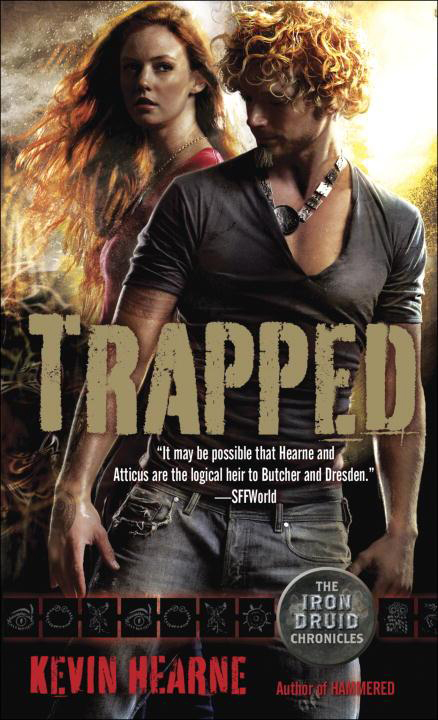 Trapped (The Iron Druid Chronicles #5) by Kevin Hearne (Del Rey, Mass Market Paperback 11/27/2012) – This is one of my more highly anticipated 2012 releases, not only because my review of Hammered is blurbed don the front, but because I also really enjoyed Hounded, loved it and posted the Hexed. I thought Tricked was good even if it felt a bit like a placeholder. Alien vs Alien (Kitty Kat: Alien Super-Being Exterminator Book 6) by Gini Koch (DAW Mass Market Paperback 12/04/2012) – Koch’s writing speed is very impressive, this is the sixth book in the series (and second this year) since it launched in 2010. Elemental Magic: All-New Tales of the Elemental Masters by Mercedes Lackey (DAW Mass Market Paperback 12/04/2012) – Lackey opens up another of her popular secondary worlds to other writers. This collection of all-new stories revisits Mercedes Lackey's universe in which the powerful Lord Alderscroft and his fellow Masters monitor the magical doings in their realm, and find, guide, protect and train all those in the British Isles who have the ability to control the elements. Original. 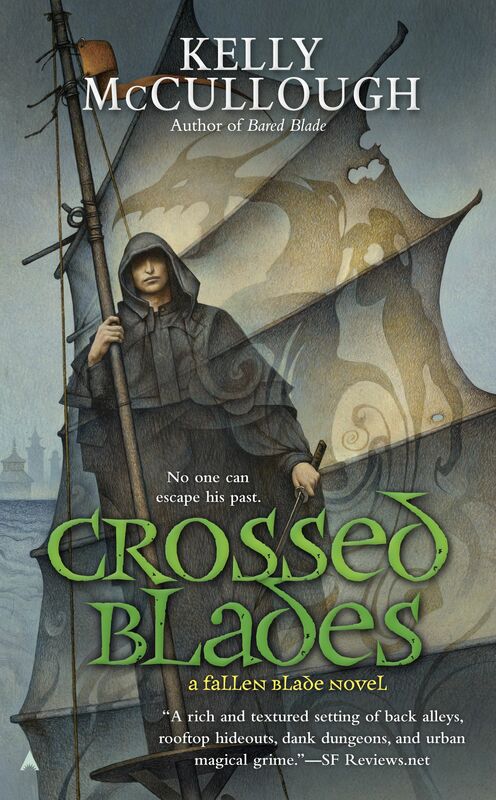 Crossed Blade (Crossed Blade #2) by Kelly McCullough (AceMass Market Paperback 12/04/2012) –Third in a series which began last year, and second published this calendar year so McCullough seems to be a quick writer. Iced by Karen Marie Moning (Dellacorte Press Hardcover 10/30/2012) – A new series from the popular Moning, though this one seems as if it is connected to her previous work, the Fever Series. Dani “Mega” O’Malley plays by her own set of rules — and in a world overrun by Dark Fae, her biggest rule is: Do what it takes to survive. Possessing rare talents and the all-powerful Sword of Light, Dani is more than equipped for the task. In fact, she’s one of the few humans who can defend themselves against the Unseelie. But now, amid the pandemonium, her greatest gifts have turned into serious liabilities. When Dublin’s most seductive nightclub gets blanketed in hoarfrost, Dani finds herself at the mercy of Ryodan, the club’s ruthless, immortal owner. He needs her quick wit and exceptional skill to figure out what’s freezing Fae and humans dead in their tracks — and Ryodan will do anything to ensure her compliance. Dodging bullets, fangs, and fists, Dani must strike treacherous bargains and make desperate alliances to save her beloved Dublin — before everything and everyone in it gets iced. Mecha Rouge (A Novel of the Armor Wars) by Brett Patton and (Roc, Mass Market Paperback 12/04/2012) – A year later and the sequel to Patton’s first novel in this future Military SF series hits shelves. Say one thing for the folks at the Penguin imprints…they keep most of their authors on a pretty good schedule. When you don’t know which side to trust, go rogue. Matt Lowell is the hottest new recruit in the Universal Union’s select group of pilots. Their job—control the supremely powerful biochemical robotic avatars known as Mecha. Now, the Prime of Universal Union herself has offered him an unprecedented opportunity: return to Earth to train a new elite force for a covert mission that’s imperative to the future of the Union. When he and his team embark on their mission—on a border world that may be a target for the anarchical Corsairs—Matt finds that everything is not as it seems. The world is home to a dark secret that underlies the very foundation of the Union itself, and suddenly Matt doesn’t know which side he and his mighty Mecha should be fighting for—or against. 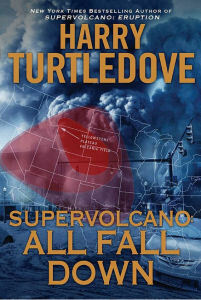 < Supervolcano: All Fall Down by Harry Turtledove (Roc Hardcover 12/04/2012) – Here is book #43 by Turtledove I’ve received over the past few years. Former police officer Colin Ferguson’s family is spread across the United States, separated by the catastrophe, and struggling to survive as the nation attempts to recover and reestablish some measure of civilization… . Experience the riveting, dystopian Uglies series seen as never before—through the eyes of Shay, Tally Youngblood’s closest and bravest friend, who refuses to take anything about society at face value. In Pretties, Tally Youngblood and her daring best friend, Shay, both underwent the operation that turned them from ordinary Uglies into stunning beauties. Now this thrilling new graphic novel reveals Shay’s perspective on living in New Pretty Town . . . and the way she sees it, there’s more to this so-called paradise than meets the eye. With the endless parties and custom-made clothes, life as a Pretty should be perfect. Yet Shay doesn’t feel quite right. She has little to no memory of her past; it’s as if something in her brain has inexplicably changed. When she reunites with Tally and the Crims—her rebellious group of friends from Uglyville—she begins to recall their last departure to the wild, and the headstrong leader she used to be. And as she remembers the truth about what doomed their escape, Shay decides to fight back—against the status quo, against the mysterious Special Circumstances, even against her own best friend. It’s a week after Hallowe’en but Mark and I have two reviews that keep the dark mood going. Abner Marsh is a man down on his luck; while considered a good steamboat captain, his most recent ship was destroyed in icy water. Joshua York, enigmatic man to say the least, sees something in Marsh that he thinks will be a key to his mysterious goals. The two men met and despite Marsh’s warnings to the contrary, enter a business arrangement to build and operate the greatest steamship to chart the waters of the Mississippi River – the Fevre Dream. The novel is set against the back-drop of the American South shortly before the Civil War, Martin’s novel features a great mix of characters many of whom are black men, both free and slaves. In a parallel narrative, Martin introduces Damon Julian, also a vampire and whose actions more closely reflect to the evil vampire that has come to be the accepted model of the blood sucker. Julian lives a decadent life in the dark, the plantation which he took over is fraying at the edges and Julian’s reputation in the slave community and the region in general is becoming unsavory. What’s even more unsavory is Sour Billy, the human who keeps Julian’s world in order during the day. Few characters I’ve encountered are as slimy and disgusting as Sour Billy Tipton, in other words, he’d probably be pals with some of Martin’s more lurid characters from A Song of Ice and Fire like Roose Bolton and there’s a part of Sour Billy that reminded me of Ike Clanton as portrayed by Stephen Lang in the film Tombstone. 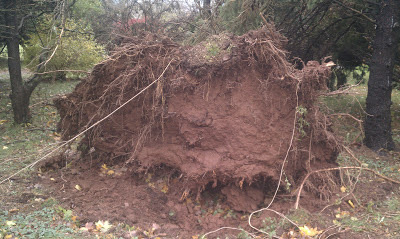 At the time of writing this we approach Halloween (again) and my thoughts turn to Horror stories for this time of year. Two years ago I reviewed the re-release of the first of these collections. This year I had to raid the vaults of Hobbit Towers for this 52-year-old classic. 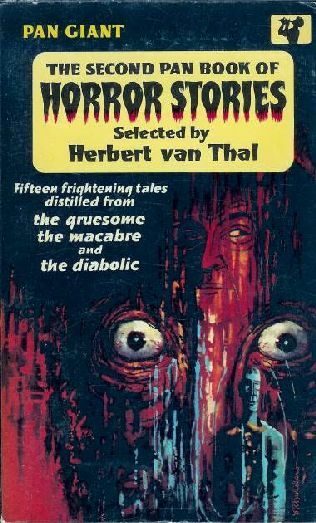 There are fifteen stories in the collection, ranging from the classic (from Edgar Allen Poe, HG Wells and Bram Stoker, for example) to the rather unknown these days (Guy Preston, Oscar Cook, Stanley Ellin). There’s also the odd surprise: Agatha Christie and Carl Stephenson. In summary, there are more hits than misses here. Personal favourites would be The Fly, The Black Cat, and The Judge’s House, all of which are recognised as classics. Almost as good, and much more unknown was By One, By Two and By Three and The Specialty of the House. As of Friday, the time I wrote and post-dated this entry for Sunday mornings normally scheduled Books in the Mail post, I've received no books for review because of the near apocalyptic affects of Hurricane Sandy to New York (where the majority of the publishers who send me books are located) and New Jersey (where I live). 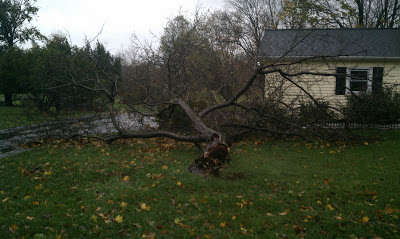 Also as of Friday, I've been without power, internet, or phone in my home since Monday 10/29/2012) when Hurricane Sandy made landfall so even if something does arrive on Saturday or is waiting for me at home on Friday, chances are I won't be able to update by Sunday. For our part, I'd say the 'o Stuff household was fairly lucky despite the loss of power, heat, water, and connectivity to the outside world. 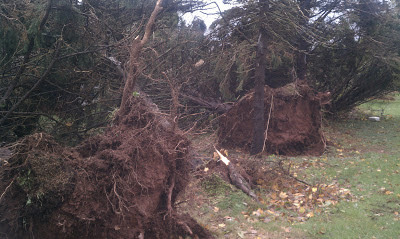 Of the dozen or so trees that were toppled on and around my property, none of them fell on the house or did any damage. Please, if you've got some extra scratch to spare, consider donating to the Red Cross as virtually the entire Jersey Shore has been destroyed and the estimates of the economic impact to the region is in the tens of billions of dollars.